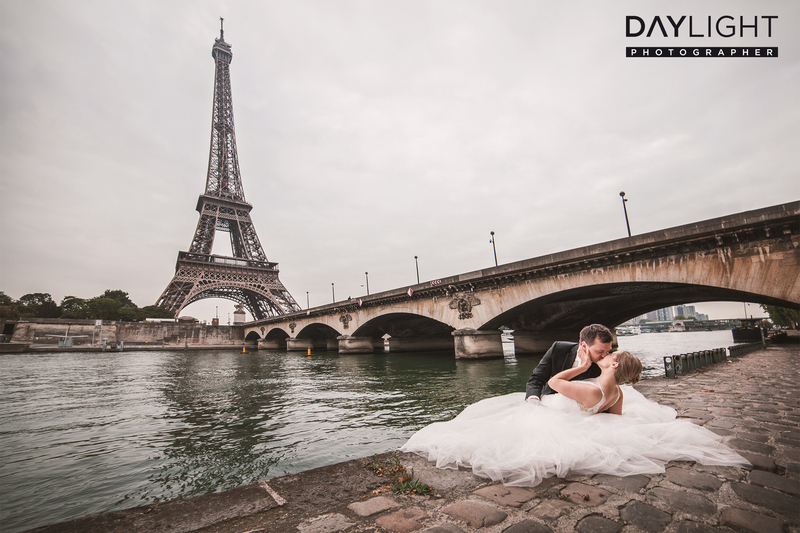 Have you ever thought about outsourcing your wedding pictures to Paris? 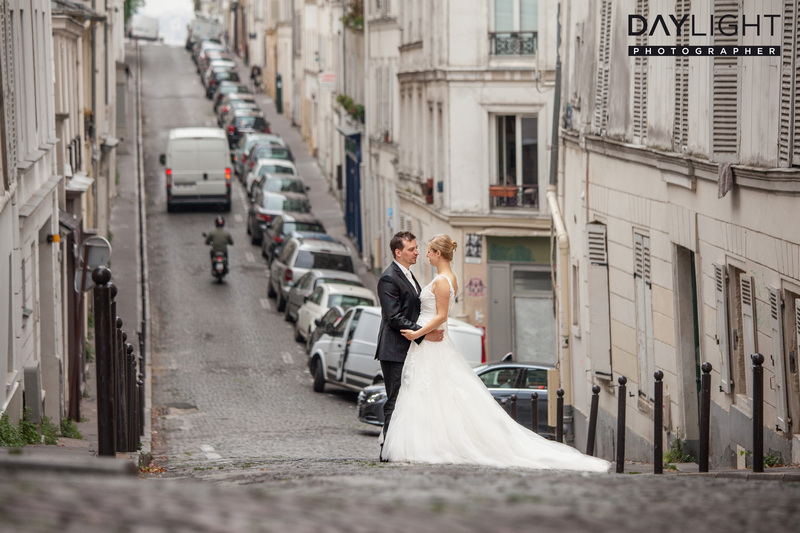 Here are some reasons for having your wedding photoshoot in the city of love. 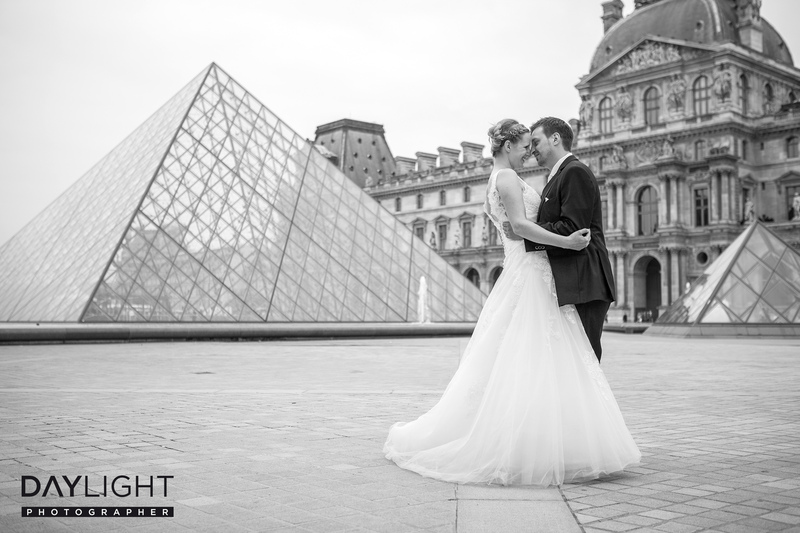 Our wedding photoshoots in Paris usually last between one hour and three hours, depending on which locations you choose. You have all the time in the world to enjoy the experience. Nobody’s waiting for you, and our photographer will only stop the photoshoot if they’re 100 % happy with the results. Our team of wedding photographers are good at what they do. They have a feeling for making couples shine, and they’ll make your photoshoot a fun experience with forgeous results. There are lots of beautiful locations in Paris. 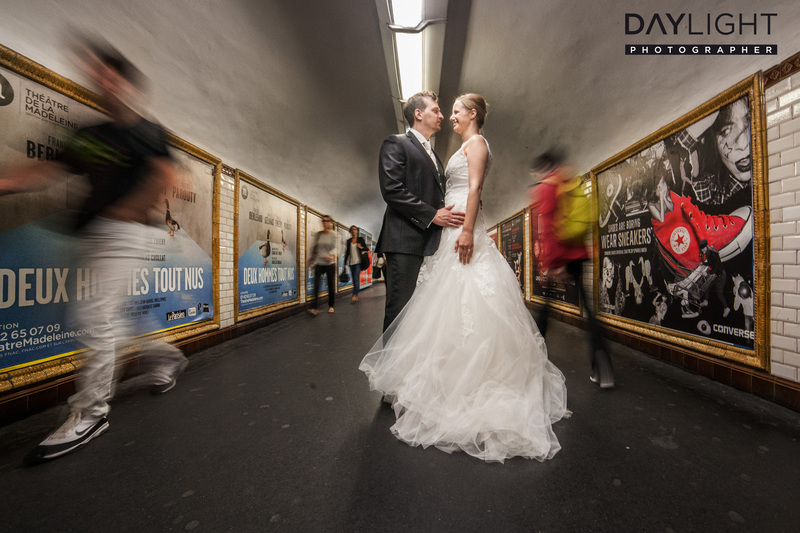 Our wedding photographers recommend different locations around the city, depending on the season and the lighting. They also know about some secret spots that have not yet been overrun by tourists. 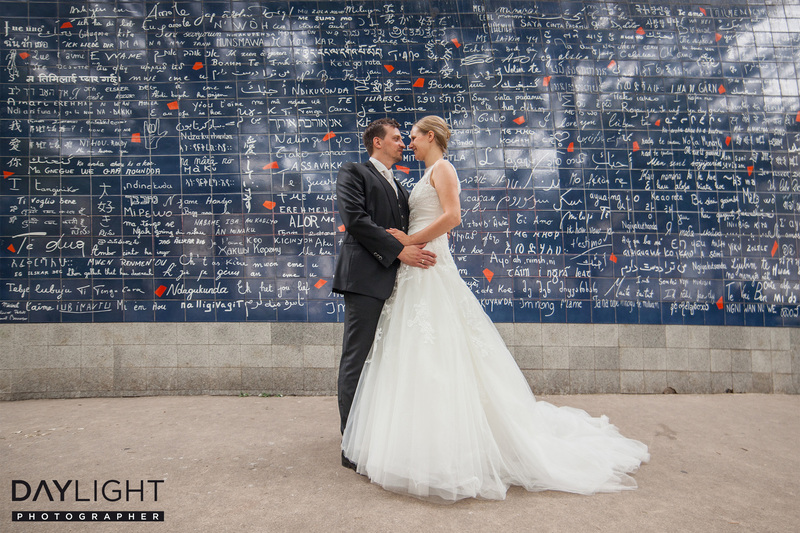 The Wall of Love in the heart of Montmartre is a perfect location for photoshoots. 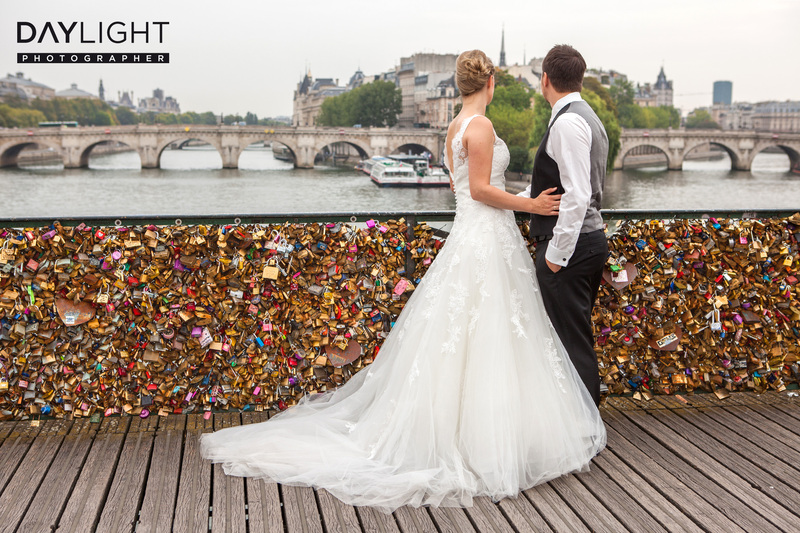 Our photographer can also take you to the Pont des Arts of love lock fame. Lovers used to celebrate their love by hanging a love lock to the brige. Thousands of people have declared their love on the Pont des Arts, so many that the bridge almost broke down a few years ago. Now the love locks have disappeared, but our wedding photographers know some other spots where a bride and groom can profess their love to each other. 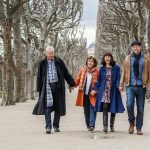 Montmartre is a mirror of the Parisian soul. Winding streets and small cafés and restaurants invite to linger. 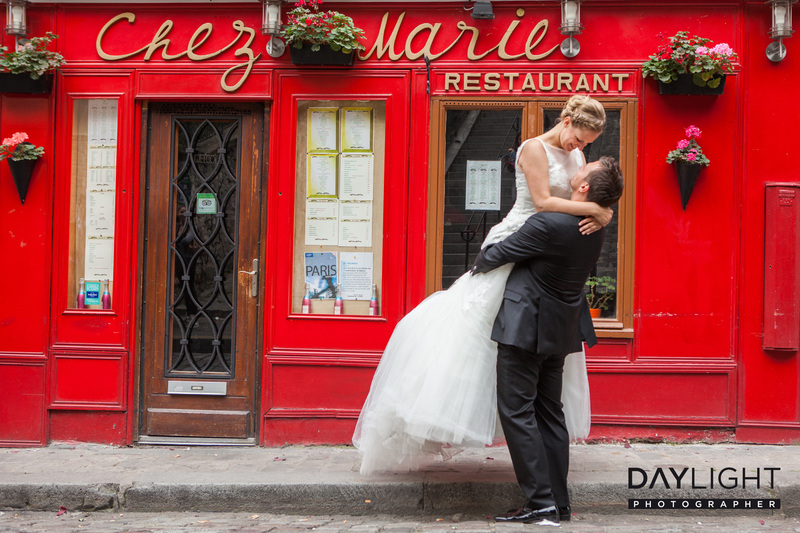 The red facades are almost made for romantic wedding photoshoots! 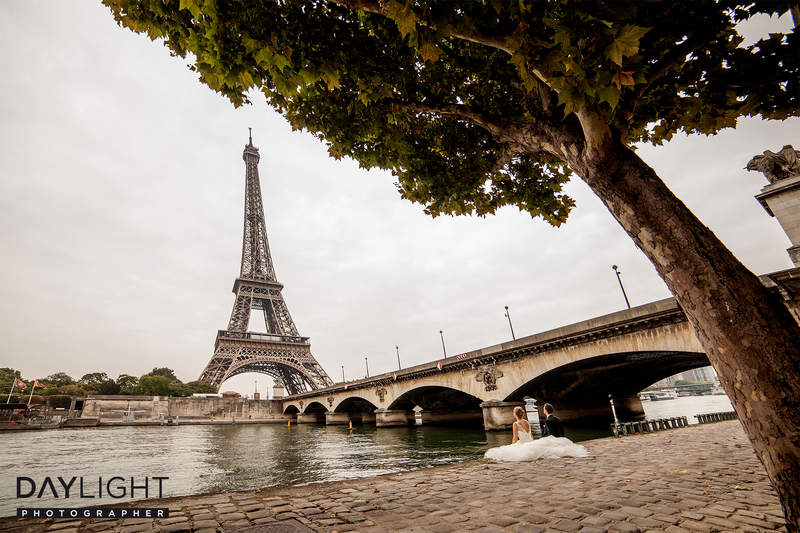 The banks of the Seine are another beautiful location for wedding photoshoots with our photographers. 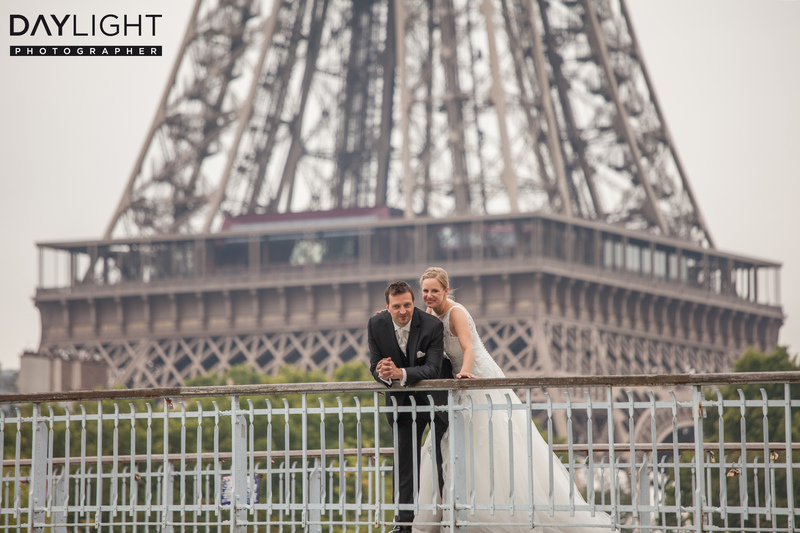 The waters of the Seine and the Eiffel Tower in the background are a perfect backdrop for our photoshoots. The historical cobblestones add a nostalgic note to the pictures. It’s almost as though time had stopped here, in the shadow of the Eiffel Tower, as the bride and groom kiss under the canopy of the trees. 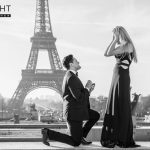 Looking for a wedding photographer in Paris? 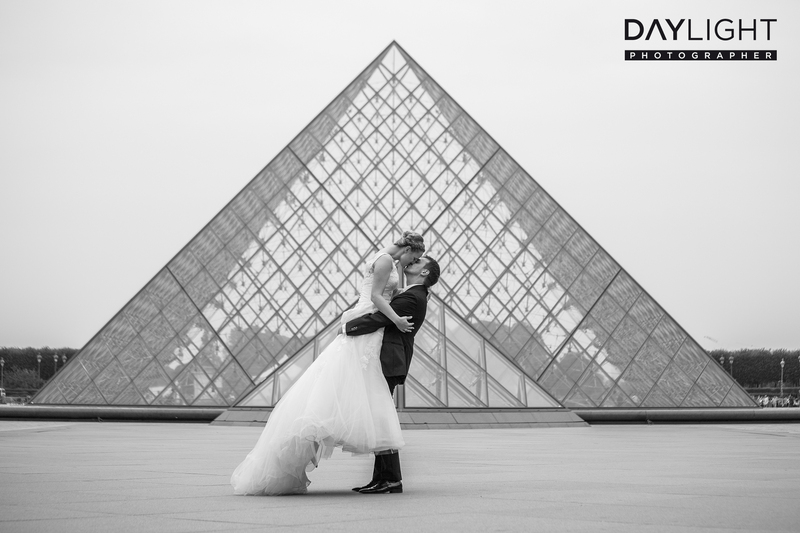 If you like our pictures you can send us an e-mail or just book your wedding photoshoot in Paris right now, before it’s too late.